Teen addiction is an epidemic that we can no longer ignore. To address this deadly issue, we must first tackle the false understandings of this topic. Only “bad kids” become addicts. Addiction is a result of poor willpower or motivation. My kid will never be tempted by drugs. The truth is, even “good kids” can suffer from substance abuse, and addiction is a disease, not a lack of motivation. 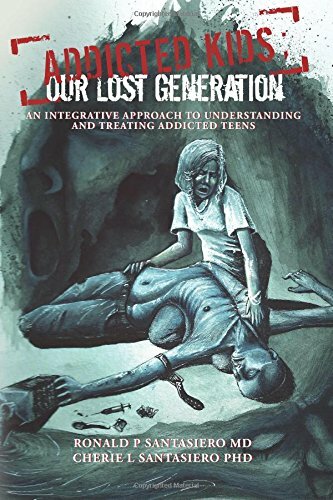 Learn the unique aspects of teen addiction through real stories and scientific knowledge—and discover how you can start making a difference today. Cofounders of the Sedona Holistic Medical Centre, Ronald P. Santasiero, MD, CAc, and his wife, Cherie Santasiero, PhD, MNLP, have treated hundreds of addicts with their integrative approach. He is a board certified family physician with nearly forty years of experience. She is a transpersonal psychotherapist, a master in neuro-linguistic programming, and a clinical hypnotherapist. Sign up with your email address to receive the free introduction and part of the first chapter, news and updates.